Product #16058 | SKU MDPDVI10FT | 0.0 (no ratings yet) Thanks for your rating! 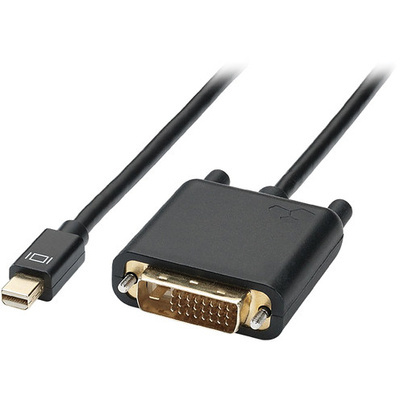 The iAdapt DVI Cable - 3 m from Kanex is a one-way active adapter cable that lets you connect your Mini DisplayPort equipped Mac to a single-link DVI-D based LCD monitor, projector or a computer monitor. This single-cable solution supports vivid colours and sharp resolution. It's also compatible with a Thunderbolt port if your device has one. Featuring high flexibility and low bend radius, the compact connectors can easily fit into tight spaces.